Beautiful jacket for my 3 year old! It runs a size small, so it's best to size up 1. The leather is nice a and soft and supple, and my son looks like a stylish lil man wearing it! 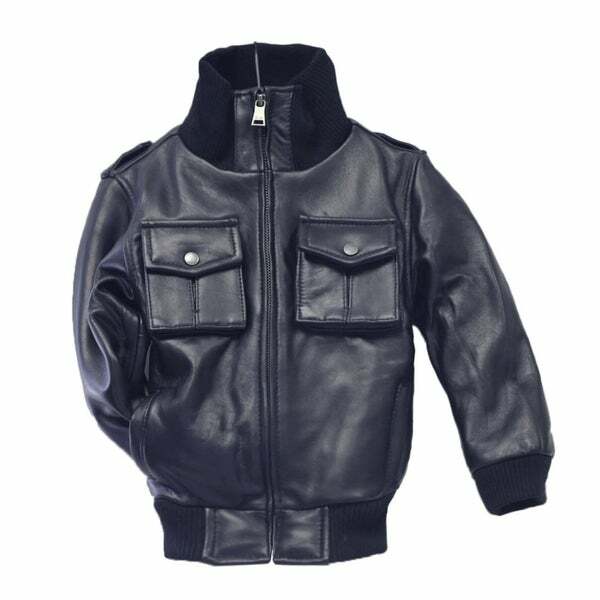 Help your little one stave off cold weather with this handsome kids' leather jacket. Classic bomber styling in a fun navy blue color gives this fully lined jacket a modern vibe. Fits great and the color blue it says it is. I love it!